Water-rich sand stratum is a common geological disaster source for the metro construction in coastal cities, and grouting is the most widely-used and efficient method to improve the characteristics of tunnel-surrounding rock. The grouting effect evaluation plays a key role in guaranteeing the subsequent construction safety. However, the grouting effect evaluation is a complex problem since it involves influence factors of uncertainty and variability. 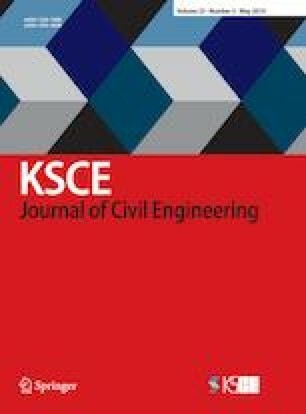 In order to comprehensively and quantitatively evaluate the grouting quality and guarantee the safety of metro construction, an extension theoretical model for grouting effect evaluation in water-rich sand stratum is established. Firstly, according to the geological and engineering influence factors, rock mass strength, permeability of surrounding rock, attitude of stratum, moisture content, grouting material, and grouting technology are selected as the grouting effect evaluation indexes, which make up the evaluation index system. The dimensionless method is used to avoid the influence of the unit and order of magnitude of each index, and index weight of each factor is ascertained by entropy-information theory. Also, through the grouting information of typical waterrich sand stratum and expert experience, the grouting effect evaluation grade classification is achieved. Combining with the extension theory and measured data, the correlation degree of each evaluation grade is obtained. Finally, according to the correlation degree identification criteria, the grouting effect evaluation categories can be judged. In the engineering application, the water-rich sand stratum grouting effect in Qingdao metro is evaluated based on the proposed model. The results show that the evaluation grade agrees well with the excavation situation. The extension theoretical model provides an effective method for grouting effect evaluation in water-rich sand stratum.